I recently went to a Secondary Reading Conference that talked about how to teach grammar. Traditionally, we have been doing a lot of "editing" skills (think daily warm-ups fixing grammar). This type of lesson works well for students who are reading outside of class because they are reading and seeing good examples of grammar every day. For our current students (who are not reading a lot outside of class), they need to see good examples of writing before we expect them to be able to edit. 1. 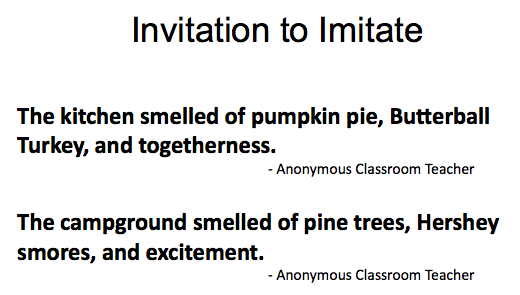 Invitation to Notice: Students look a great writing and notice similarities or why the writing is a good example. 2. 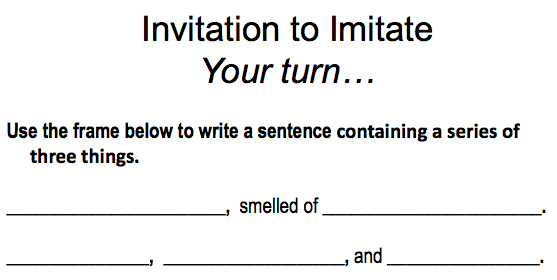 Invitation to Imitate: Students take the sentences of good writing and replace key components. 3. 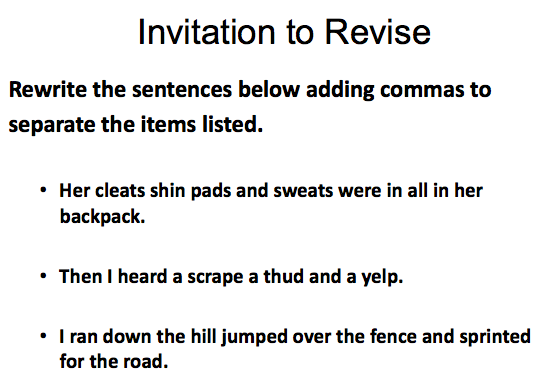 Invitation to Revise: Students are invited to rewrite sentences using the concept they are learning. 4. 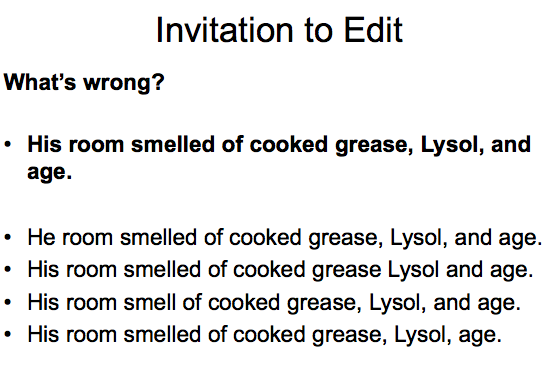 Invitation to Edit: Students now look at poor samples and correct errors. 5. Invitation to Write: Now that students have been through all the steps, they are ready to write their own sentences/paragraphs. Each lesson comes with a 5-day lesson overview along with a PowerPoint Presentation. I have also used this format to teach other skills such as quoting evidence (click here).